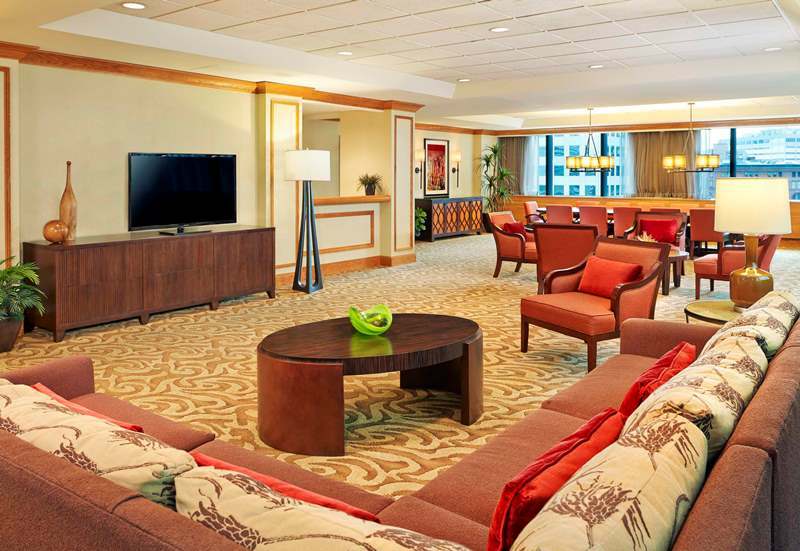 PSAV retains exclusive rights to install and remove audio visual equipment within hotel rooms and/or suites. Contrasted with meeting space, for security purposes outside vendors are not permitted access to hotel guest rooms or suites. Outside vendors and decorators must have certificate of Insurance on file thirty (30) days prior to move in. Certificate should be sent to the attention of the Meeting and Events Manager assigned to you. 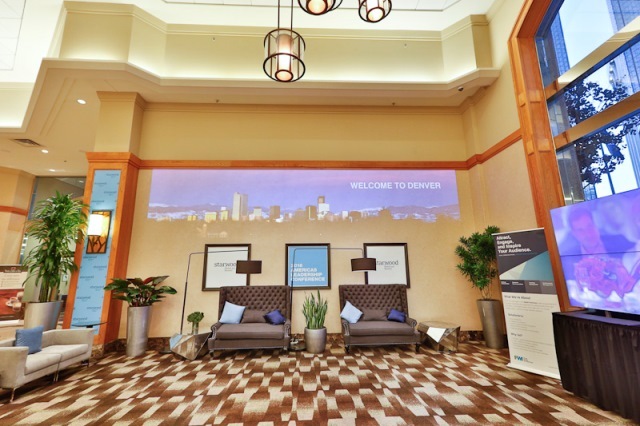 Looking to enhance your next event at the Sheraton Denver Downtown Hotel? PSAV will create a gobo light presentation of your logo or your event sponsor's logo that can be used as you wish for the current event, as well as future events. Please arrange with your PSAV contact 21 days prior to your group's arrival. We are able to display your custom gobo in our main lobby above our front desk as well as in most of our meeting spaces.